After the initial player profile of Connor Whaley, we decided to interview the second of four captains, Nate Killeen. 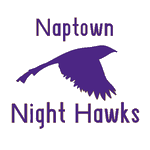 Nate will be the captain of the Nighthawks this coming summer, and definitely has it in for the Hillcats (unsurprisingly, if I do say so myself). As I stated in the previous player profile with Connor Whaley, hopefully, we'll continue doing this with all 24 players that are in the league. After Nate, there are an additional 22 players that you can get to know, so we're looking to give everybody a shot and ask them these questions. If any of you have any questions that you would like answered from the players, or if there's anything you think we can do to make these better, please let us know. You can contact us through Instagram, Twitter, email, and even YouTube (you can find these if you scroll all the way to the bottom of the page), so please get a hold of us and help us make these better and more beneficial for you. Although most of you most likely already know through social media, this evening, the commissioners posted the first video on the league YouTube channel and you can go check it out now. The video is hopefully the first of many on the channel, so make sure to subscribe to be able to keep up with the content. As some may know, the commissioners are planning on having all of the games recorded to be able to post onto YouTube. Eventually, the games may be live-streamed on the channel, so if you want to check those out, stay tuned to the IWL's YouTube channel. You can scroll down to the bottom of the page and press the YouTube emblem, or you can click the link right here. Also, you can get the link to a certain video by going to the newly created "Videos" tab, which can direct to the specific video you're looking for. Anyways, I hope you all are ready for the Beginning of the Indianapolis Wiffleball League and the Beginning of an Era. To take a break from all the mock drafts, and to, hopefully, start off a "series" on the website, we decided to interview captain of the Crusaders, Connor Whaley, to give you – the followers – an idea of what to expect when he's on the field. It'd be nice to get this going as a thing, where we get to interview the players of the league, but we'll see how this goes. If this goes well, we'll definitely continue doing this, but we need some input from you guys. Email us, DM us on Instagram, contact us on Twitter, do whatever you can to give us some constructive criticism or praise for this. As can be expected, and as we stated, we plan on interviewing the players of the league to give you guys an idea of what the players are like and, in essence, to give a personalized experience for you. This is an effort to have you feel like whenever you hear something about the players, you'll be able to know something about these players and not just have a name that you won't be able to connect with. Now that we've kind of explained what this is and how we plan for this to work out, let's get right into this interview with current Crusaders captain, Connor Whaley. After roughly a week, Jake Fine has sent in his second version of his Mock Draft, with some slight adjustments. As we said in the last one, for those of you out there who want to make one, too, just send an email to indywiffleofficial@gmail.com with your list and we'll add it to the website. Captain of the Ironmen and co-commissioner, Jake Fine, has sent in his second Mock Draft for the 2019 season. As it is his second, we have decided to slap on the 2.0 at the end of the name. Essentially, in this Mock Draft, don't expect too much to change because we haven't had a chance to play to really see who are the better players and who are the not-so-better players. Really, Fine is just guesstimating at this point and going off of what the players have said about how well they play. Once we get into some gameplay and the IWL combine kicks off in late March to early April, we'll see who drops where. Additionally, some players may lose some positions in their draft stock because they have stated they may not show up to a couple games due to vacation, summer school, and other events of the sort. From there, he had the Ironmen selecting Sam Bella and the Crusaders picking Matthew Klein. The Hillcats pick Jack Gibson and Jack French back-to-back, and the Crusaders pick up Jack Marshall (for three straight picks with kids named Jack). Originally, Fine had Jack French and Jack Marshall in front of Jack Gibson in the first round, but he has since switched put Jack Gibson into 4th. Additionally, Sam Bella and Matthew Klein swapped places. From there, the second round continues as Logan Tetrault gets signed by the Ironmen, and Evan Huff and Bo Marker get picked by the Nighthawks in back-to-back picks. Carter Schaffer gets picked by the Ironmen, and Sam Reed gets picked by the Crusaders. Teagan Cohen and Ian Houle make their first appearances in the mock draft, as they both get signed by the Hillcats. Sam Reed slid down from the 7th pick all the way down to the 11th pick, mostly due to the fact he claims he will be out of town for most of the summer. Additionally, Evan Huff, and Bo Marker both shoot up in the draft. Carter Schaffer also slid down due to a trip at the beginning of the summer and summer school in the latter half. Matt Harvey gets picked by the Crusaders, while Alex Tabor gets picked by the Ironmen. Finally, to round out the fourth round, Will Harvey picked by the Nighthawks. Matt Harvey falls into 14th. Alex Tabor also slides down into 15th, due to the crushing blow to Tabor's case that he actually doesn't have too much baseball experience and claims that he has poor hand-eye coordination. Honestly, he's lucky to be in 15th. In the first mock draft with the fifth round, we have three additions to the draft. Sebastian Alford gets picked by the Nighthawks with the 17th pick, and Loïck Trampont slides down into 18th, which is a pick by the Ironmen. John Churchman and Ansel Hendricks finish the draft off, getting picked by the Crusaders and the Hillcats, respectively. As I said before, if anybody would like to send in a Mock Draft, let us know by emailing us at indywiffleofficial@gmail.com. Alex Tabor has gotten into the mix, with a mock draft of his own. A future player in the IWL, he's the freshman goalkeeper at Brebeuf, who is most infamous for allowing 7 goals in a single game. Maybe his poor performance on the soccer pitch can translate to something good in the wiffleball field? Ehh, probably not. Either way, he was generous in his picking of the mock draft, as he put himself in the late first round. We'll have to see how his picks work out in the upcoming IWL draft – the first of its kind. The commissioners and the captains are still debating whether or not the draft will be live-streamed via Instagram or even YouTube, or whether they will create a video and post it on a later date. We'll see, but let's get into Alex Tabor's 2019 IWL Mock Draft 1.0. Before we begin, as a disclaimer, this was made before the additions of those who are interested. With the first pick, the Nighthawks select Sam Bella, in Tabor's Mock Draft. Jack French and Bo Marker are then picked by the Ironmen and the Crusaders, respectively. 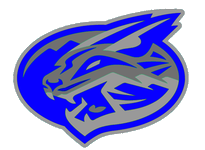 Alex Tabor and Cameron Smith are selected by the Hillcats, then Carter Schaffer is selected by the Crusaders. 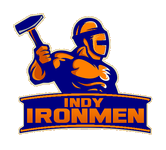 Sam Reed goes to the Ironmen, while Noah Skaggs and Evan Huff are picked by the Nighthawks. Matthew Klein gets picked by the Ironmen in the third round, and Loïck Trampont and Jack Gibson round off the third round, getting picked by the Crusaders and the Hillcats, respectively. Matt Harvey starts off the fourth round, and Will Harvey is then picked by the Crusaders. Finally, Luke DeMilt and Jack Marshall finish off the draft. However, as I said, this mock draft was made before the addition of four players who are interested in playing this year, so this draft isn't up-to-date. Stay tuned for more mock drafts, this time containing the four players who expressed interest recently.